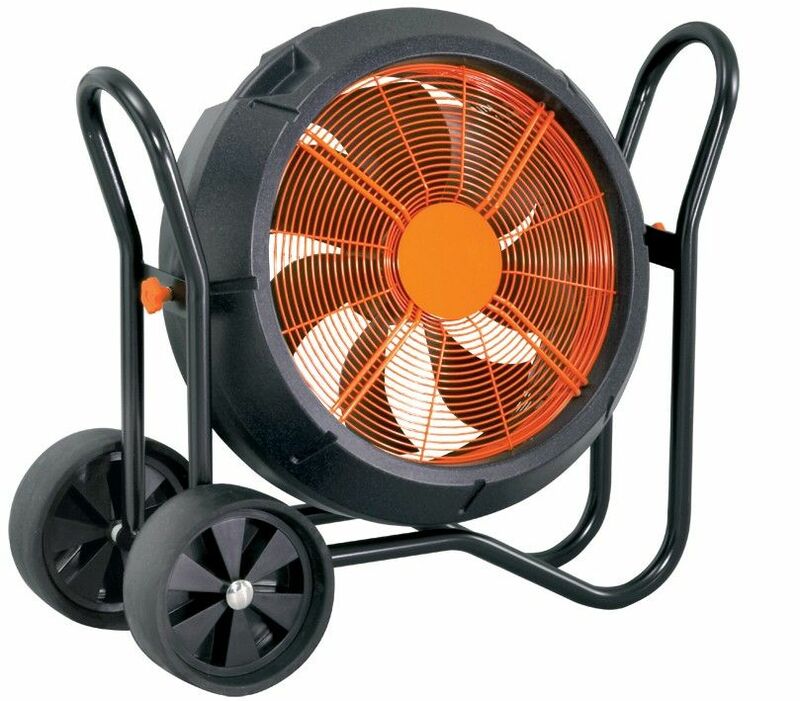 Rhino Air Raid 500 portable high-output industrial fan. Designed to withstand the demands of industrial applications. Fan diameter: 50cm. Motor: 780W. Size: 960 x 435 x 850mm.